As predicated WWDC focused less on massive new features to iOS and more on performance. But particular towards older devices, also there has been a shift in retiring older devices. So your iPhone 5s & 5c are safe for another year or maybe more. “For iOS 12, we are doubling down on performance” remarked Craig Federighi. Apple aim to make iOS lighter and faster for all devices but particularly older ones. Apparently, apps launch up to 40% faster, the keyboard can rise up 50% faster and opening the camera? Well they are stating 70% quicker. Apple is aiming to improve performance on all devices when they are under load and being used heavily. This is great news for customers with older devices. But it will also be interesting to see if there is any noticeable difference on my iPhone X. The phone already seems pretty quick to begin with. 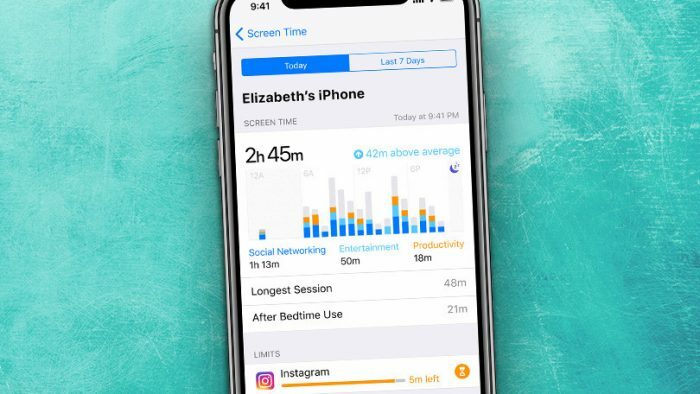 The ever-going battle between daily life and screens is changing with Apple introducing “Screen Time”. It can break down app usage by category such as social media and games. While tracking which apps are giving you the most notifications and adding it all up to a weekly summary like the Apple Watch does with activities. Time constrains can be set to lock children out of apps and certain content to give parents greater control over what their children are doing on their iDevices. When the predetermined time is up they may request more time but will not be able to continue without the parent device giving that consent via an app. Notifications on iOS has long been a pain due to the singular way they loaded and the space they took. 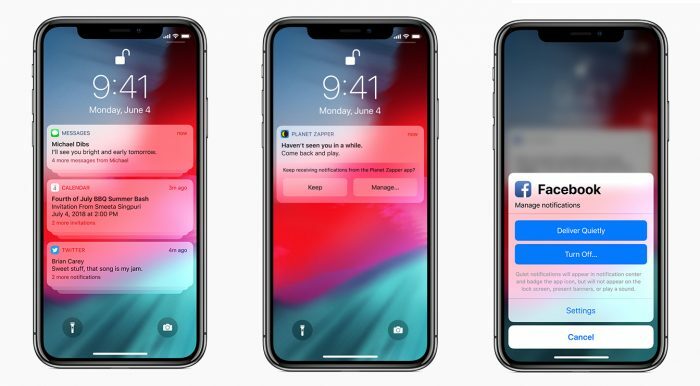 Now in iOS 12 you’ll be able to interact with multiple notifications at once due to them being grouped together. 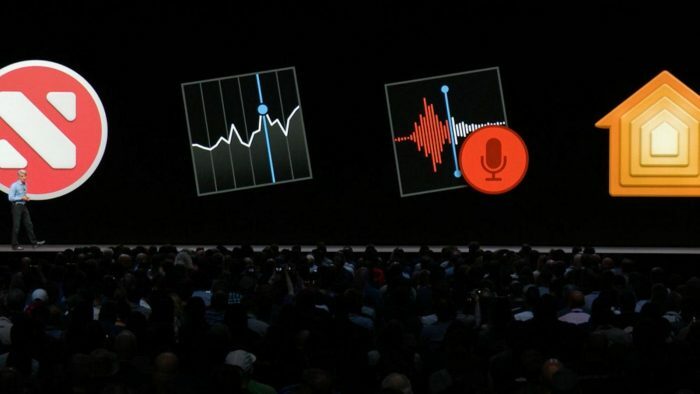 Apple is also giving users more control over which apps are allowed to send notifications that vibrate their phone. “Quiet” notifications will show up in Notification Centre, but not on your lock screen. They also won’t make sounds or interrupt you in any way. Here come the Ghost, Koala, Tiger and Tyrannosauras Rex. The new additions to Animojis will expand the roster and now let you do more. The first thing I did when I was playing with Animojis was stick my tongue out and everyone I have shown the feature to has done the same. Now Apple are introducing the ability to detect and mimic the tongue as its stuck out. I remember Samsung Galaxy S9 big push on the camera and the emoji which takes the look of the user and thought it was a neat idea especially if it was combined with truedepth technology. Well now it is. Somewhere between Nintendo’s Miis and Snapchat’s Bitmojis comes Memoji a customisable emoji of your face. 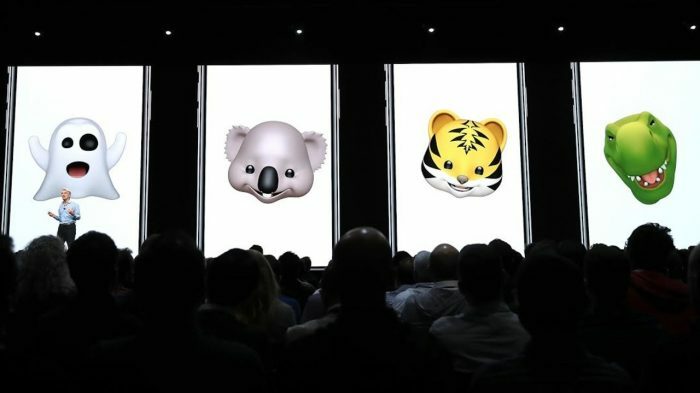 Apple seem to have put a lot of work into this feature and hopefully it will be a big part of Animoji to. 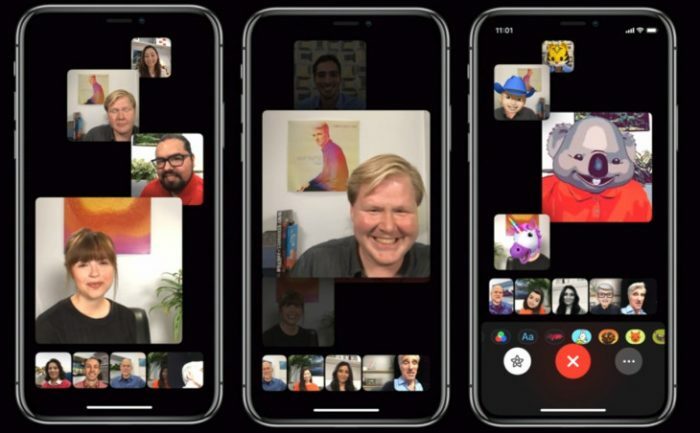 Ever been on a facetime video call with friends or family and wanted to dial in another person, well now you can dial in up to 32 people on one call. Now supported across both macOS and iOS. When multiple people talk their windows will get bigger and smaller so you can see them clearer and for conversations when you don’t really want to show your face you can use Memoji or Animoji characters. In association with Pixar, Apple have created a new file format specifically designed for AR. The name is USDZ and companies like Adobe and Autodesk have already announced support for it when it comes to integration and building apps around USDZ. How long is that? How wide is that? Well now in iOS 12 you’ll be able to see on the new measure app. As the name suggests the software allows you to quickly and accurately look at the space around you and get the stats you need. All you need to do it get the item in the camera frame and tap to drag out a line. That then acts as a ruler. There are already a number of 3rdparty apps that do this using ARkit. But Apple now seem to want their own and it’s a safe bet that they’ll want a leg up on 3rdparty apps. Apple seem to be trying to establish that they are the company leading the augmented reality conversation, ARkit 2 will bring enhanced integration to the platform along with more mixed world experiences and now “shared” experiences so two different users can see the same thing from the same app on two separate devices. The new update to the photos app in iOS 12 will bring a search feature in. Also, a “For You” tab has been added which will suggest filters and effects you may want to apply to your images. Photos will offer more sharing options and friends who receive photos are prompted to share back their own pictures and videos from the same event. Apple is really opening up their attempt to catch up with Google Photos. As I have remarked in the past, Siri is dumb. 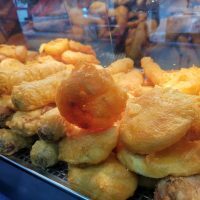 Speciality when compared to Alexa and google assistant. Despite that Apple claims Siri is the most popular and I can only think they work this out by devices sold or something similar. 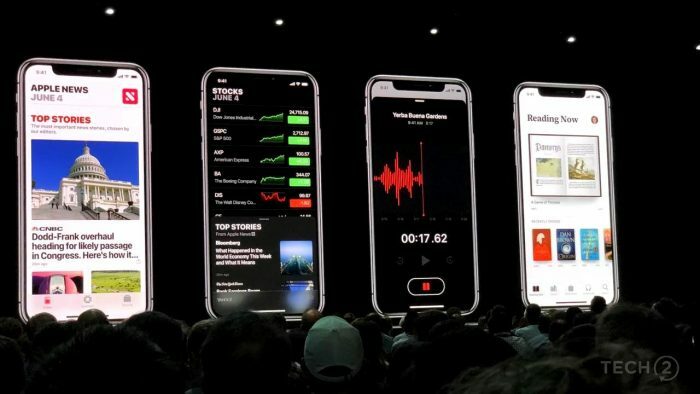 To help bolster up that lead finally Apple seem to be taking step to tear down their walled garden approach by allowing developers more integration with iOS 12. 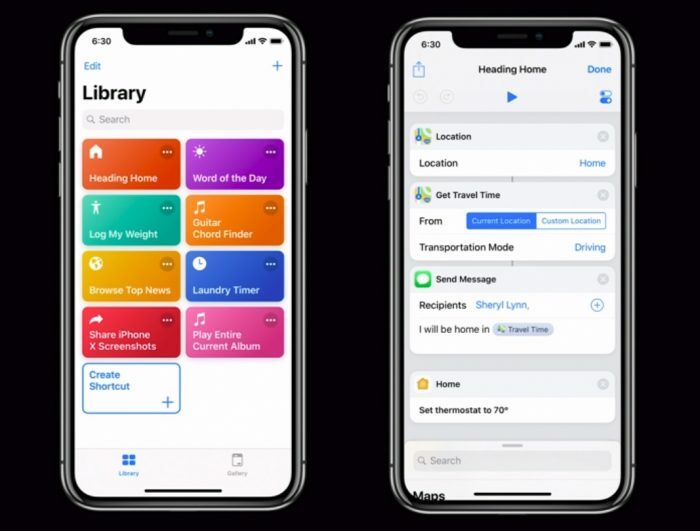 Shortcuts can now be bult to allow Siri to carry out popular quick actions and to demonstrate a simple task was asked, “Hey Siri, I lost my keys” as an example built for a Tile tracking device. Since the “workflow” app has been released for iOS 11 I have been messing about it and trying to get workflows… well… working. It seems too much like coding I believe and needs to be cleaned up to make it user for people. So here comes shortcuts. This app allows users to string together a selection of tasks into one custom command. Similar to what Google assistant and Alexa does already. But as a dedicated application it will get users to try out this new functionality as soon as iOS 12 ships. Apple News is getting a bit of a refresh along with a Mac app. But for iOS it will not feature a “Browse” tab. The Stocks app is getting a new update. It has never been something I have personally looked at if I am honest. But Apple is putting real work into it. After hours stock prices and new content linking to Apple News that might be relevant to your current investments will be available. It is also coming to iPad. Voice Memos are receiving a new update to redesign the look and feel of the app. iPad is also going to going to be receiving the application when iOS 12 launches, oh and they will all sync to iCloud. iBooks is dead, in what feels like a decades to me a reader the iBooks app was stale and needed something new. Apple Books rises from the ashes to fill this void. The rebrand comes with a design that focuses on discoverability. A new book store tab “makes it easy to explore new titles and browse the top charts, curated collections, and special offers,” according to Apple. That rounds up all the iOS news from WWDC and now just the wait to see what Apple has in store for us at the iPhone reveal expected in October. 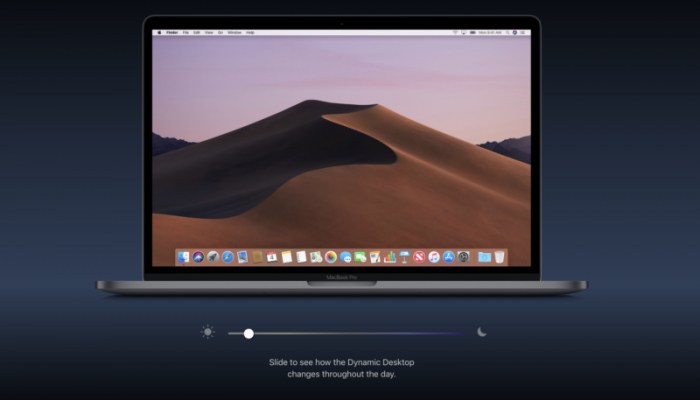 macOS Mojave has been announced for an Autumn release. 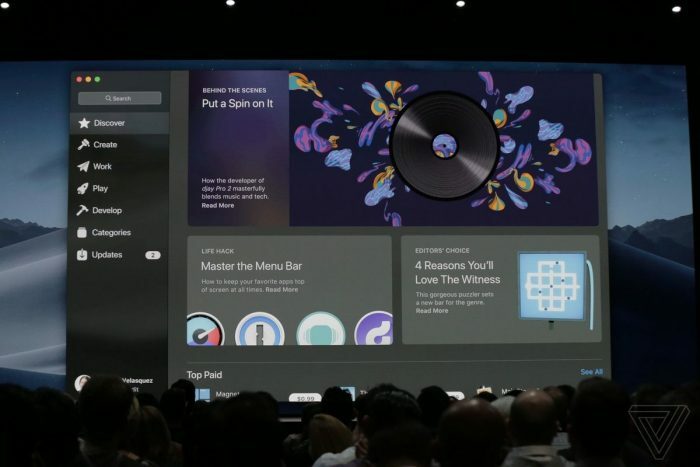 The new version come with a handful of new features to get excited about including a dark mode and several iOS apps making their way onto the platform. Tim Cook said “inspired by pro users, but designed for everyone.” The new version was announced today at WWDC. A public beta will likely start this summer time. Apple is finally moving away from white it seems. Dark mode on macOS turns everything into what I can only presume is space grey. The dock, taskbar, and chrome lining around apps into a dark grey. Does this add functionality, well no. But it is the first step toward more personalisation with macOS. Something that seems to be missed is the dark mode with iOS as that is something I believe would be used if properly implemented. But the dark mode really does look pretty sweet for now. Can we have a “Dark Purple” mode just for me soon though, pleaseeee. Since I got my MacBook I think I have been on the store just once as it hasn’t been that useful to finding apps. This should all change with the redesign of the Mac App Store. And it is long overdue. The new store is taking everything that the iOS store gets right and porting it across. 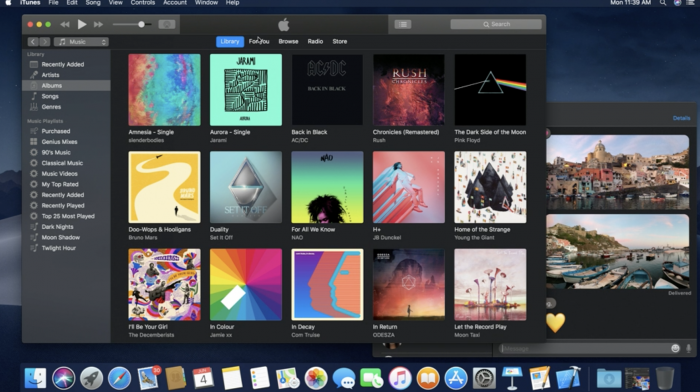 Since its redesign the iOS store has been eaiser to use when discovering new content and that’s the aim with Mac Store. Is the redesign going to save the dying store? Probably not but it is the first step in the right direction. However, two big partners coming to the store may help it. Microsoft will be launching Office 365 and Adobe will be bringing Lightroom CC to the party. Apple News, Voice Memos, Home, Stocks. All started their life on iOS and now are moving to macOS Mojave. iCloud will be able to sync all your files and options across from your iPhone so they should run as they do there without losing much, if any, functionality. 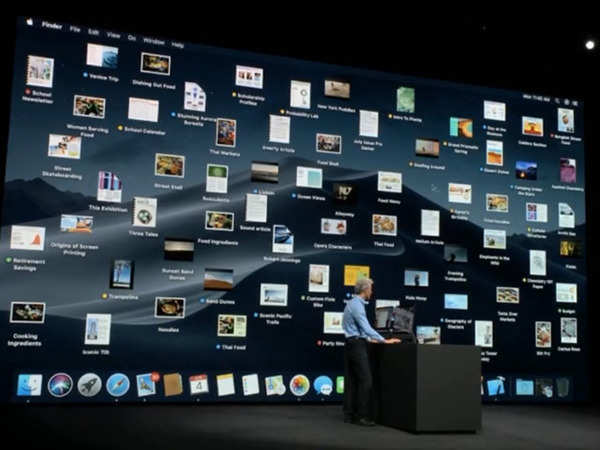 For those with messy desktops Apple is adding in a new way to clean it up. The feature called “Stacks” will dedicate file types to folders and automatically collect them and store them in the folder. Images, PDF, Word documents and PowerPoints will all collect in separate folders. When you click on them all the files will then jump back to the desktop so you can browse through them. 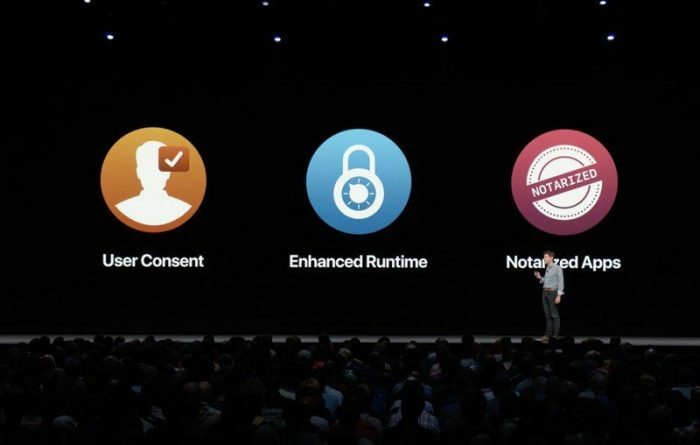 macOS will now ask you more questions when installing apps and what kind of access and control they’ll have over your content and hardware. Feels a bit like an iPhone feature as when downloading an app there you get asked if you want the app to access things like photos and camera if they can use that function. So now you can be asked if you want to give out your location, contacts, microphone and such all on macOS. Safari is getting a privacy update to. Apple updated Safari last year to start blocking websites from tracking you. This year it is adding the ability to block social networks from tracking you using things like the “like” button. Apple is also changing more back end on Safari in general to give companies a harder time tracking you. Gallery View. This is a new view in finder. It is going to let you scroll through small previews of the files stored on your Mac. It looks like a smart take on cover flow which was always flashier than it was useful. You’ll be able to mark up documents and make small changes inside of Quick Look, which should make the feature an even quicker way to deal with your files. Taking a screenshot will also automatically present you with a button to mark them up. When on my Windows PC I use a piece of software called Wallpaper Engine. However, it isn’t available on my MacBook and would just be a battery burn. Dynamic Desktops looks to be a step in the right direction for live wallpapers. Despite only getting one example the feature will change the wallpaper throughout the day. It is currently unclear if you can add your own background but I presume not for now. Per the norm macOS Mojave has a developer version available now, public beta within the next 2 months (presumably) and as usual, the new version of macOS will launch this autumn, likely in September or October so you can try out the changes before they’re widely available.